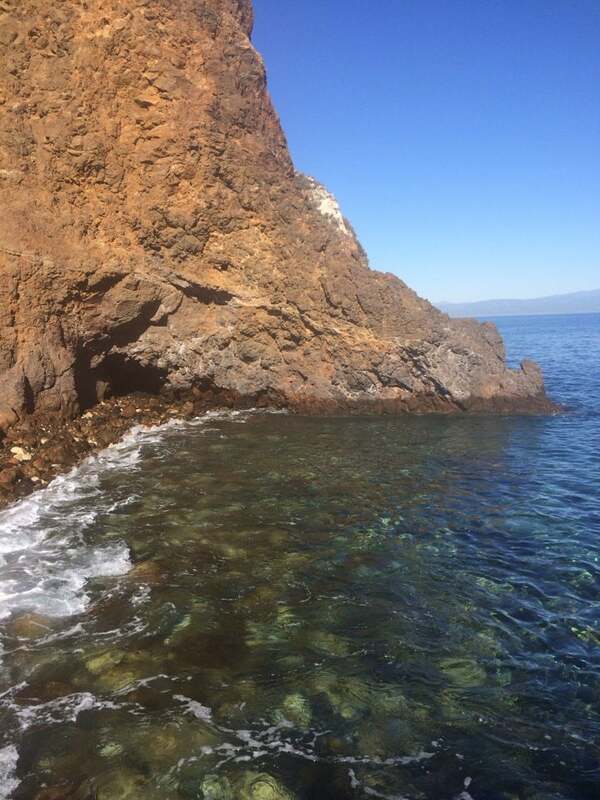 Part of theChannel Islands National Park, Santa Cruz is the largest of the best islands in California. The undeveloped, rugged island has mountains, canyons, beaches and amazing sea caves. It’s a true island getaway! Yet, it’s easily reachable. Island Packers offers one-hour boat rides to the island year-round. Thrilling family-friendly activities include kayaking through caves, snorkeling, swimming and hiking. The water is so clear you can see kelp beds and California’s state fish, the Garibaldi. Primitive camping is available. Whether visiting for the day or overnight, bring your own food and supplies. The second largest of the eight Channel Islands is known for sandy beaches and sheer cliffs. Because of the wind and ocean currents, water sports are discouraged for families. However, you can hike and enjoy a picnic on a beach. Water Canyon Beach is a favorite with visitors. Island Packers offers three-hour boat rides to Santa Rosa spring through fall. There are no services on the island, so bring your own supplies. Located 22 miles from Long Beach, the island is easily accessible by boat or helicopter. The island’s numerous activities and amenities rank it among the best islands in California for active families. Water sports include kayaking, snorkeling and fishing. Non-snorkelers and young kids can view underwater life on glass bottom boat rides. On land, there’s zip lining, biking and riding golf carts on this mostly car-free island. Family-friendly lodging includes hotels and vacation rentals. To avoid the busy summer season, visit in May or fall, for great weather and lodging deals. Accessible via ferry and bridge, this intimate, manmade island is located in the middle of Newport Bay. Charming bistros and boutiques line narrow streets. Family-friendly activities include simple pleasures like bike riding, swimming and fishing. Be sure to indulge in the island’s signature chocolate-dipped Balboa Bar. The yummy ice cream is a favorite with locals. Vacation rentals are available for overnight visits. Designed after an Italian waterfront community, Naples is actually comprised of three islands. The islands are divided via canals, which open into family-friendly Alamitos Bay. Calm water for kayaking and small, kid-friendly parks make Naples among the best islands in California for families. Gondola rides offer Old World charm through scenic canals. These cozy cruises are perfect for romantic couples and fun-loving families. Looking for a posh island experience? Coronado has prime beaches and family-friendly boutiques and luxury hotels. The fun starts with a scenic 15-minute ferry ride from San Diego to the island. Rent a golf cart or ride a bike or surrey to get around. Pick up free maps and discount tickets for activities at the downtown visitor center.